AH&A and Caveat hosted a night of storytelling supporting moms in office. 100% ticket proceeds went to Vote Mama, a new initiative led by former congressional candidate and economic development expert Liuba Grechen Shirley. A series where activists share stories about the first time they knew they had to get involved, what happened next, and how we can support their work. Subscribe to Our House on Spotify, Apple Podcasts, Soundcloud, Google Play, or Stitcher to get new episodes as they are released. Art, Humanity & Action continued its series uniting storytelling, activism, and fundraising on Jan 4th at Caveat on New York's Lower East Side. 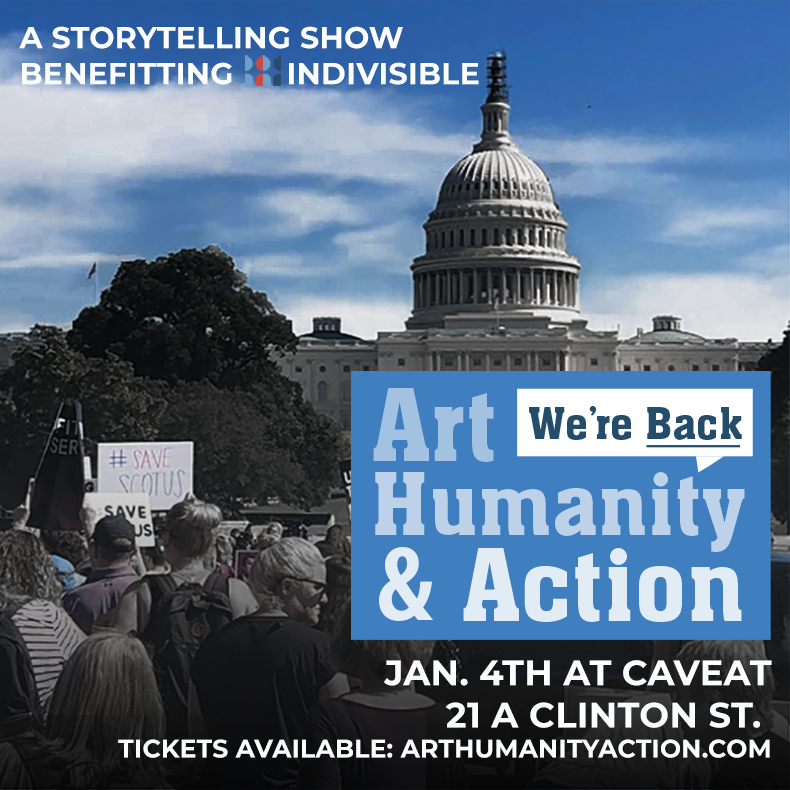 Our fourth live event, Art, Humanity & Action "We’re Back" featured stories and comedy about comebacks and defiance, and a roadmap to taking the country back in 2020. "We’re Back" raised $2300 for Indivisible Westchester. Commit to making positive change! Come to our next live event!